Posted on Wednesday, October 15th, 2014 at 1:58 pm. Subscribe to the comments feed. Both comments and pings are currently closed. Post on your own blog. hey I am needing to do the same thing. Did you have to change anything with the encoder polling library? When I try to compile the sketch on a arduino leonardo I get the following. Any ideas? 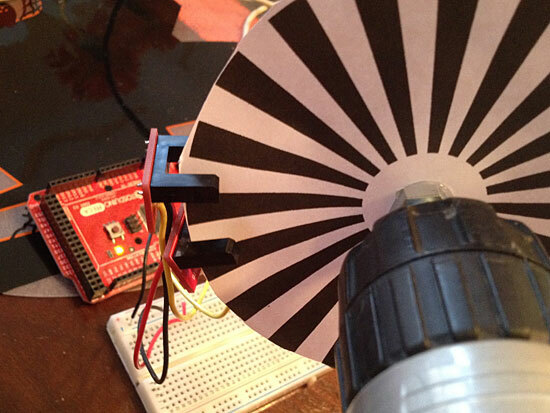 What arduino were you using? Hmmm, I used an Arduino Mega. Did you install the library properly? Yeah, it’s a weird thing. Maybe I am doing it wrong. 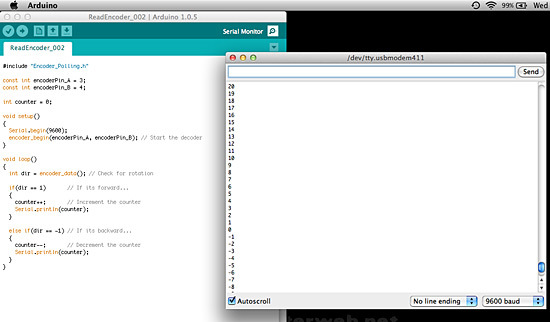 I re-installed the Arduino software and everything compiled fine. Then when I choose my board, Leonardo, it gives me a bunch of errors. I’ll just keep messing with it. I also saw errors about “encoder” being defined twice. Turns out the Leonardo has different interrupt names. TCCR0A rather than TCCR2A and so on. Good to know, greg. Thanks for the note!